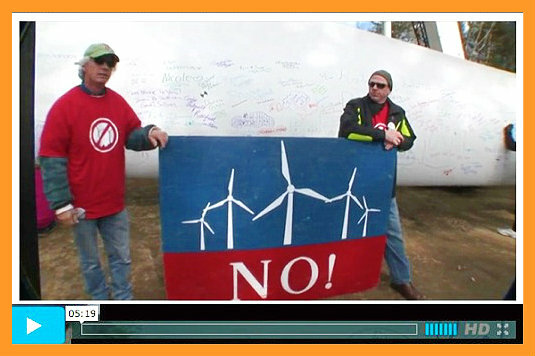 Editor’s note: Last week the Town of Fairhaven, MA, held a wind turbine “blade signing” celebration. 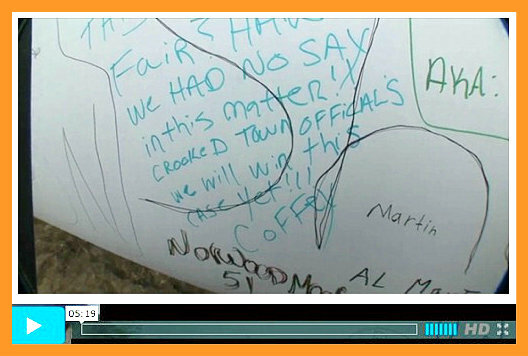 For many in the community, it was a time to demonstrate their sorrow and anger. Click anywhere on the images, below, to watch the video. Very well done. Maybe if everyone present were arrested, someone in a decision making position would notice.